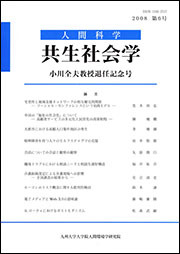 九州大学低温センターだより（Kyushu Daigaku Teion Center Dayory）is an official publication of Low Temparature Center. 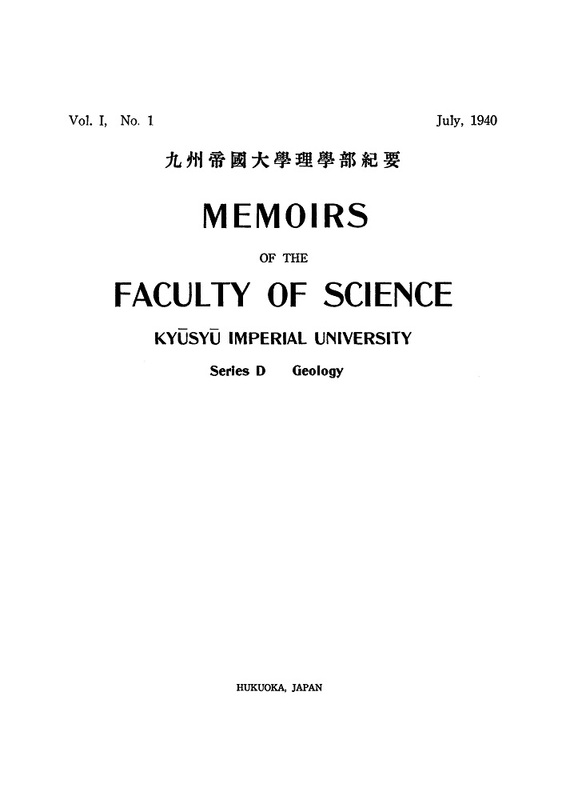 "Memoirs of the Faculty of Science, Kyūsyū Imperial University. 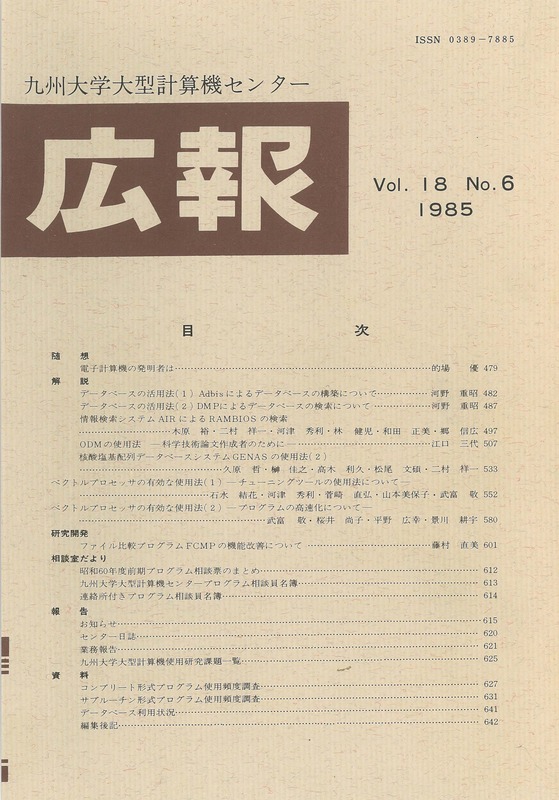 Series D, Geology" is the academic journal published by Faculty of Science, Kyūsyū Imperial University. 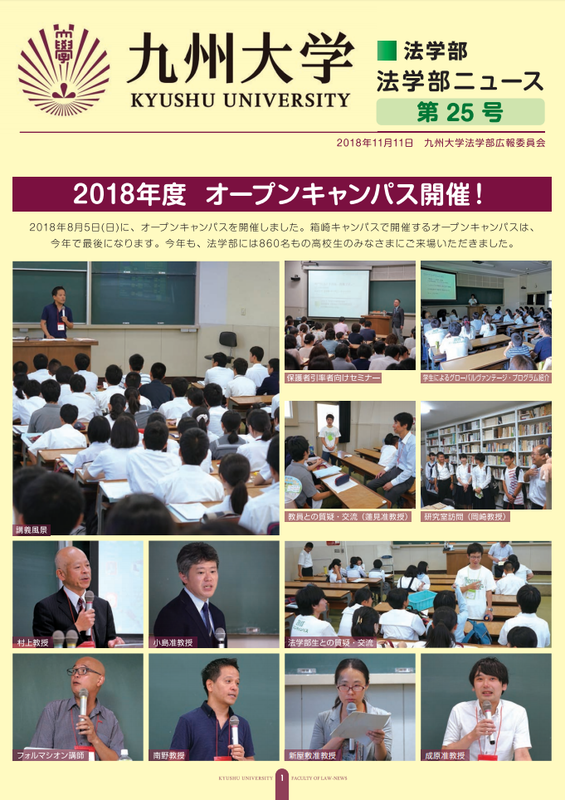 Biotronics is an international English Journal on Environmental Engineering and Environmental Biology published by Biotron Application Center, Kyushu University. 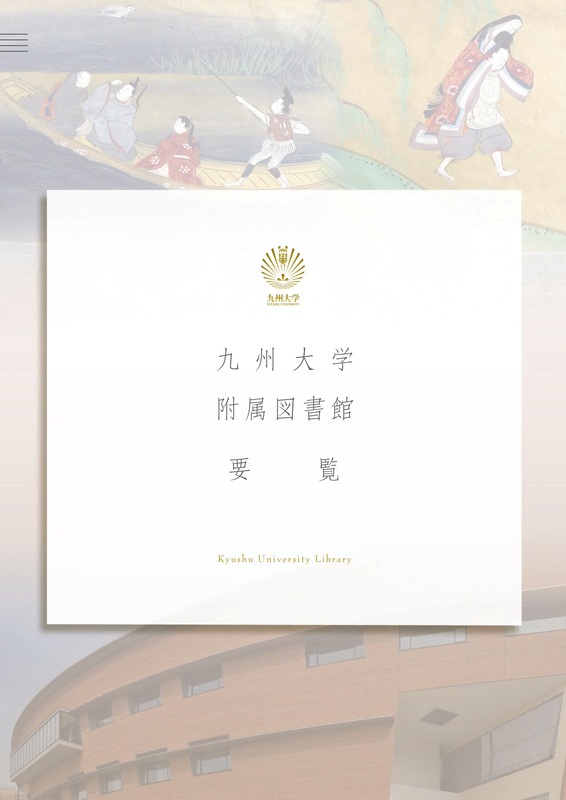 Basic information about Kyushu University Library. 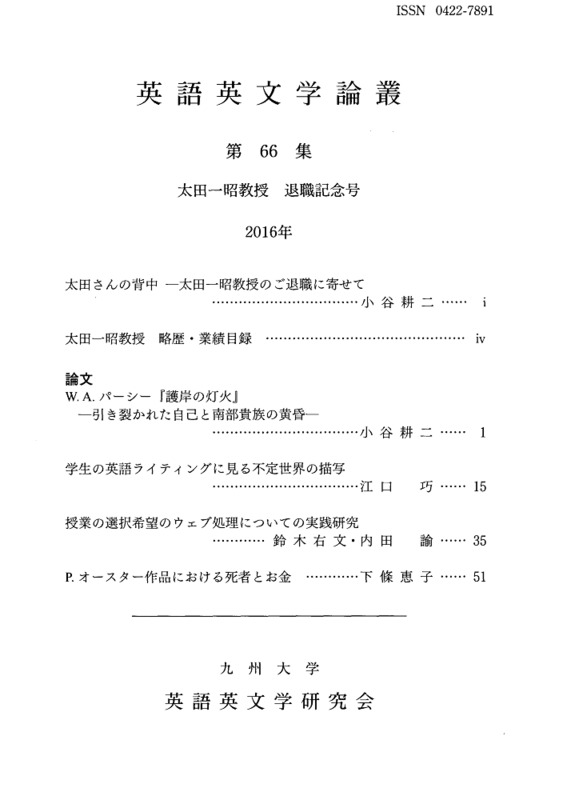 Bulletin of the Kyushu University Farm is published at random times by Kyushu University Farm. The Journal of Math-for-Industry presents original research papers and survey papers with original view points in all scientific disciplines in which the mathematics or that in industry play a basic role. Articles by scientists in a variety of interdisciplinary areas are published. 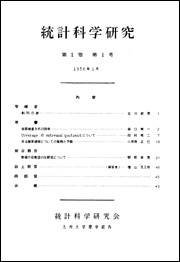 Crossover is published twice a year (in March, July) from the Graguate School of Social and Cultural Studies, Kyushu University. 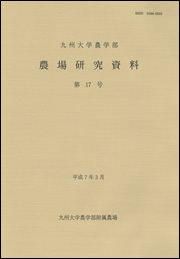 This is a preprint series of Mathematics Graduates courses.